He also undertakes professional liability litigation in areas related to the three main areas of his practice. Michael has wide litigation experience, at all levels and in a variety of jurisdictions. In this jurisdiction he has appeared several times in the House of Lords and in the Supreme Court (in the revenue case of DCC Ltd v HMRC). 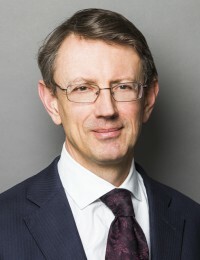 His appearances in the House of Lords include the leading tax cases of Ingram, McNiven v Westmoreland Investments and Arctic Systems, and the important pensions case of National Grid v Mayes. Overseas, he has a substantial contentious and non-contentious trust practice mainly in Bermuda, and involving large family trusts. He also appears regularly in the courts of Hong Kong, including three appearances in the Court of Final Appeal.